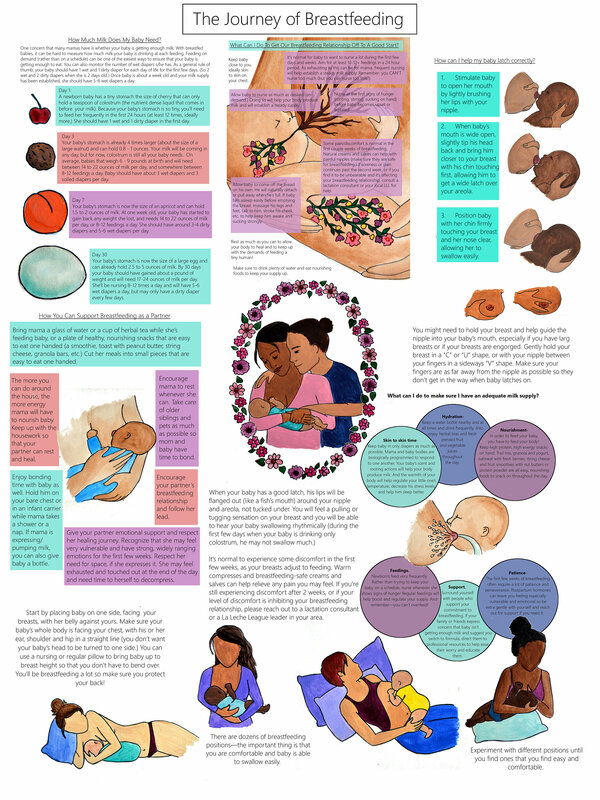 This colorful, engaging DIGITAL poster is packed with information and illustration for breastfeeding education and inspiration. -Printed at home, at a local print shop, or through an online printer-- *one printed poster per purchase please. - Shared digitally/online or included as part of any paid program/class/workshop/course/etc. PLEASE READ: Lots of time and energy has been poured into these images and I share them with love-- asking, with gratitude, that you use them respectfully and under the conditions outlined above. I have chosen not to include a watermark on these images in order to avoid distraction for the viewer and to keep the artistic nature of the pieces, however I ask that you please include a credit slide with my name and website (Catie Atkinson www.spiritysol.com ) as part of your program/presentation. If you are interested in including these images in a printed book or workbook, printed handouts or cards, or as part of an online course or program, please email me at catieatkinson [!at] hotmail.com to discuss further use and collaboration. All files are high resolution JPEGs in 18" x 24" format. After purchase, you will be given a link to download the file. Please message me if you have any trouble with your purchase or download. If you prefer PDF images, please email me at catieatkinson [!at] hotmail.com. And don't forget to join me on Instagram and Facebook (@spiritysol) for shop updates, new releases, sales, and more!